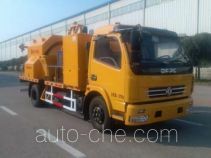 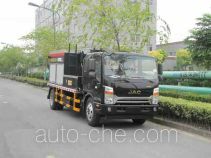 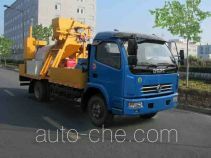 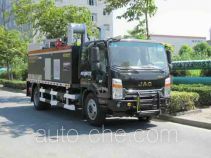 Metong pavement maintenance truck LMT5080TYHB (batch #286) based on DFA1080SJ12D3 chassis is made in China by Zhejiang Metong Road Machinery Co., Ltd. 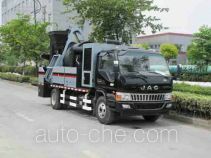 The company is located in Haining, in Zhejiang Province, China. 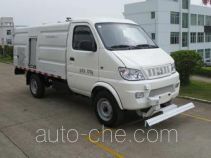 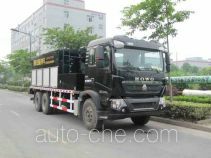 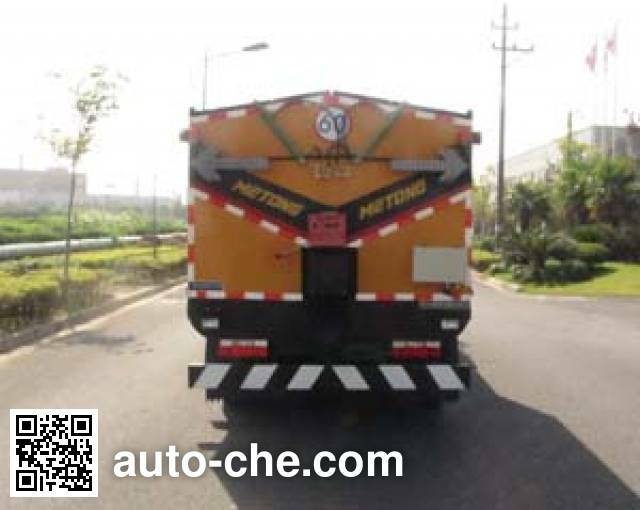 Manufacturer Zhejiang Metong Road Machinery Co., Ltd.
2 ISB3.9-125E40A 3 900 cc 3.9 L 238 cu in 92 kW 125 hp Dongfeng Cummins Engine Co., Ltd.
5 YC4FA120-40 2 982 cc 3.0 L 182 cu in 88 kW 120 hp Guangxi Yuchai Machinery Co., Ltd.
Incubator Size (LWH): 2700 × 2020 × 1510 (mm), the vehicle model using steel guardrail for: Q235A, connections: bolted after the fence section size: 1950 × 180mm, rear fence ground clearance: 350mm . 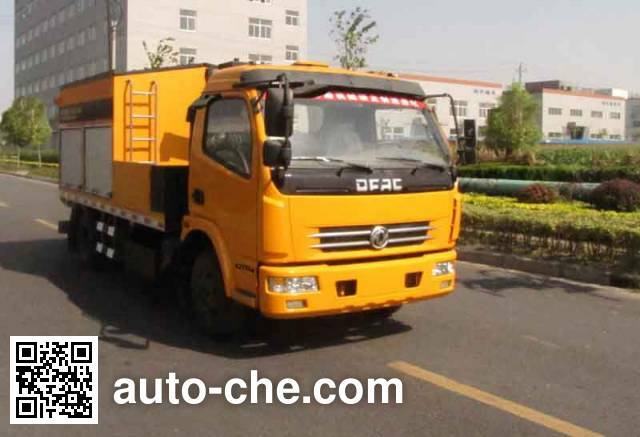 ABS system manufacturer / model: Dongfeng Electronic Technology Co., Ltd. 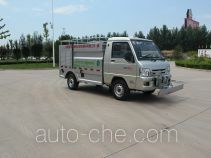 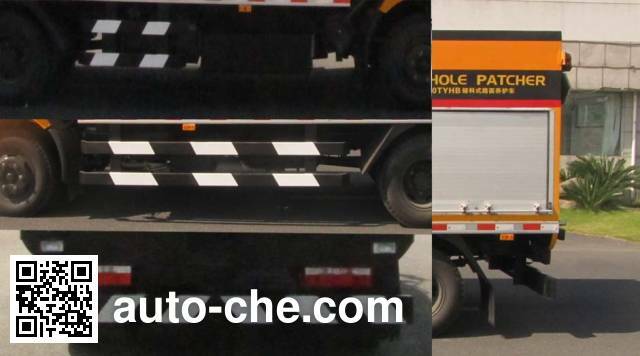 Automotive Brake Systems / 36BG13-30010, chassis mount models with auxiliary braking device.